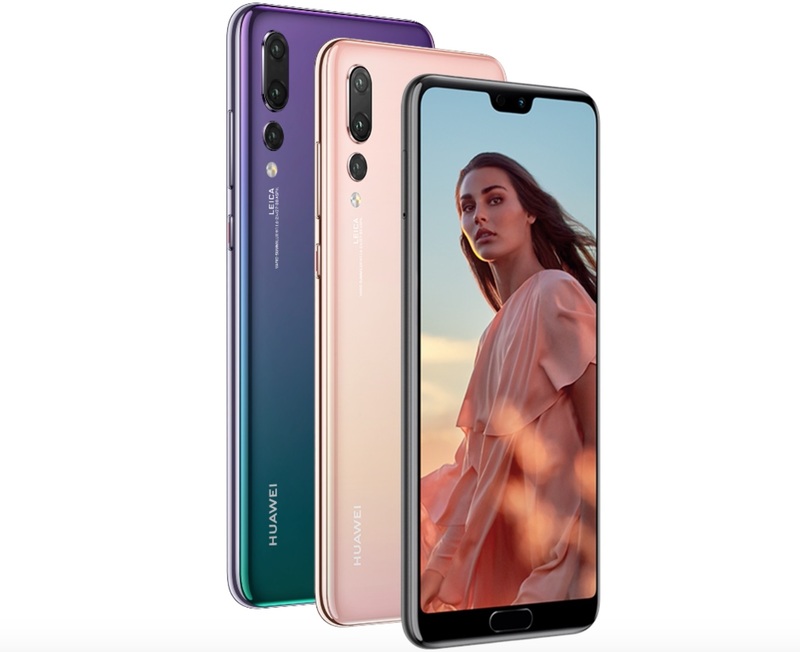 Huawei P20 Pro is perhaps the most powerful and advanced camera smartphone to date in the industry. 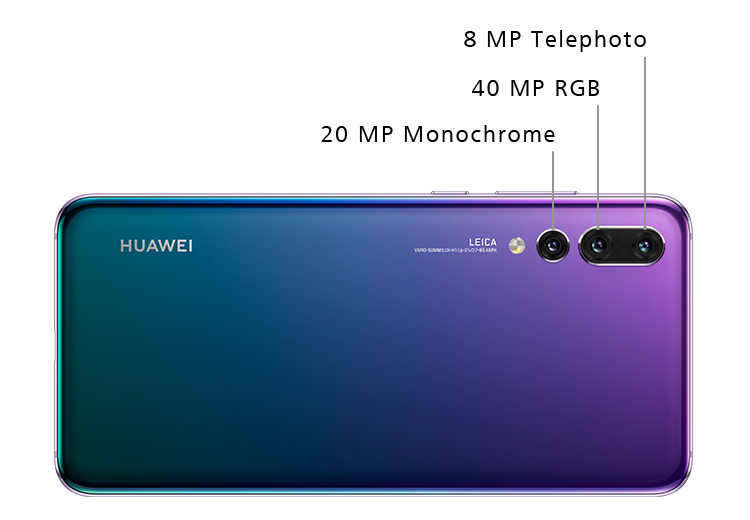 An industry first to feature a 3-Camera combo setup at the rear is an ensemble of German optical technology, Master AI integration and some very power sensors. 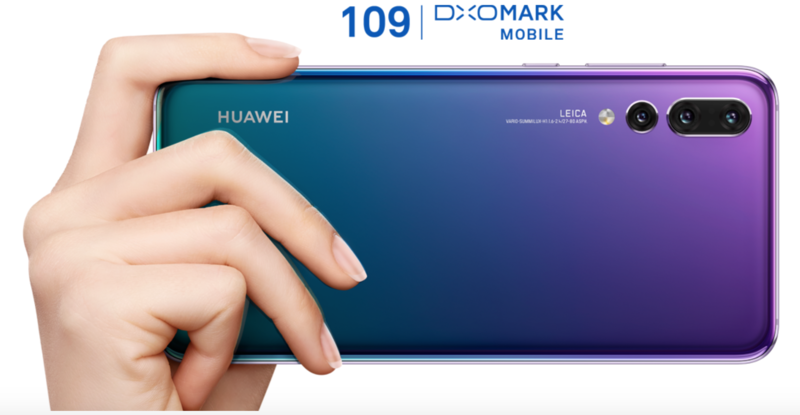 No wonder it has already been crowed the very best cameras on a smartphone by DxOMark with an phenomenal score of 109, leaving the previous champions trailing by over 10 points. Now that’s a way to be innovative, unique and make an impact smartphones photography as we know it. This is the Camera Smartphone to Beat! P20 Pro has an upgraded all new design in captivating shimmering all glass design with and metal frame and chamfered edges. The shiny reflective surface of the glass back emulates vivid colours reminiscent of spectrum of beautiful colours emitted through a prism, a larger 6.1-inch AMOLED FHD Display with screen aspect ratio of 18.7:9 forms the front of the phone. Twilight an all-new colour recreates magical illumination of colourful and glittering reflections when the light touches it’s surface. Experience abundance of transforming colours in every angle you hold the phone. 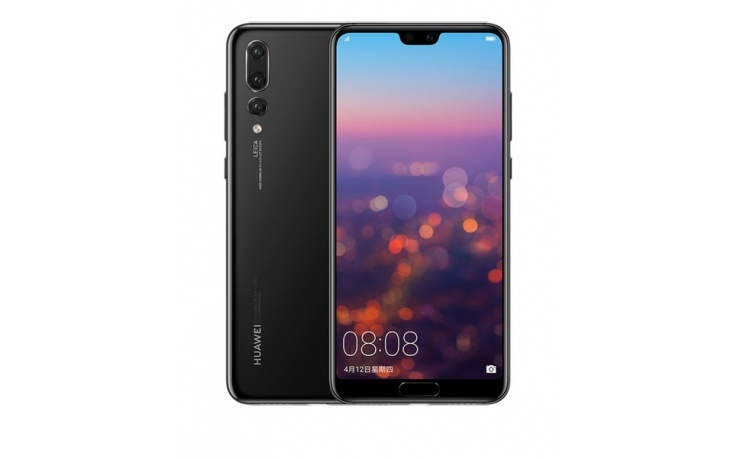 The 6.1-inch FullView FHD Display with unique screen aspect ratio of 18.7:9, is brighter and vibrant with excellent viewing angles. Optimised for less power consumption the High quality display provides a immersive experience for media consumption. 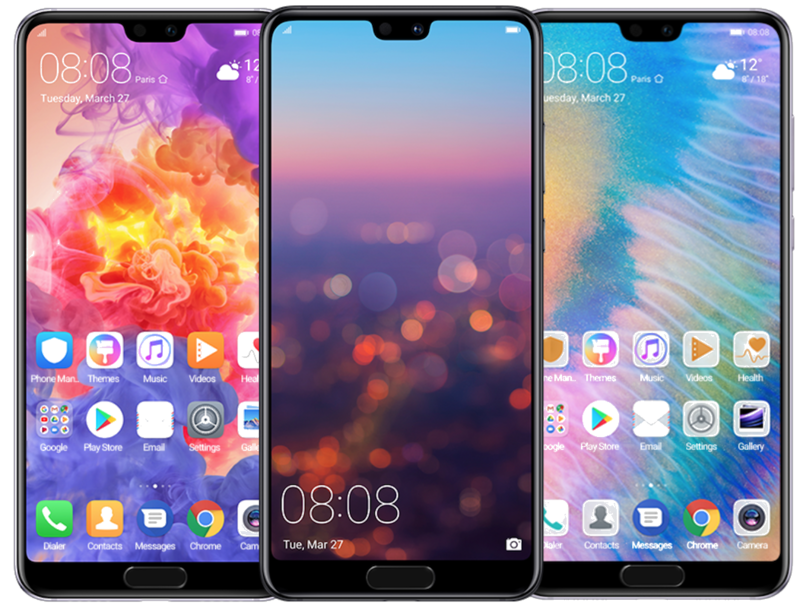 The upper portion on the display seamlessly merges into the frame giving it a true bezel less experience while the lower portion has small chin with front mounted fingerprint sensor with built in navigation gestures, which when activated allows for an uninterrupted full screen access. The first ever combination of a 3 -camera setup comprises a 40MP RGB sensor, a 20MP monochrome sensor, an 8MP sensor with telephoto lens. With f/1.8, f/1.6 and f/2.4 wide aperture respectively. It also features a dedicated ISP & color temperature sensor for better colour reproduction. 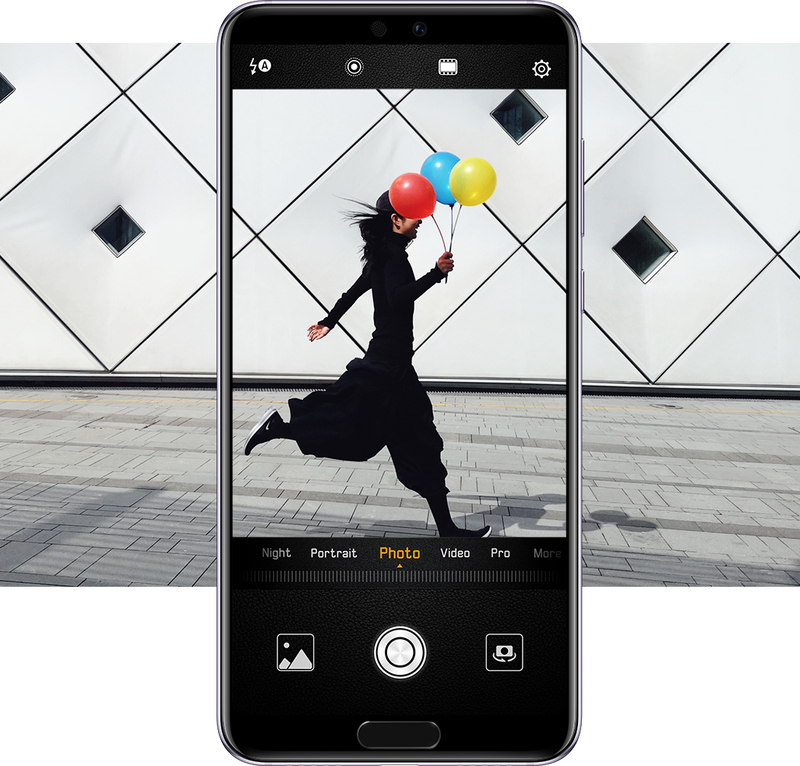 With deep level integration with AI and multitude of shooting modes and options make it perhaps one of the most complex yet simplest of smartphone cameras. 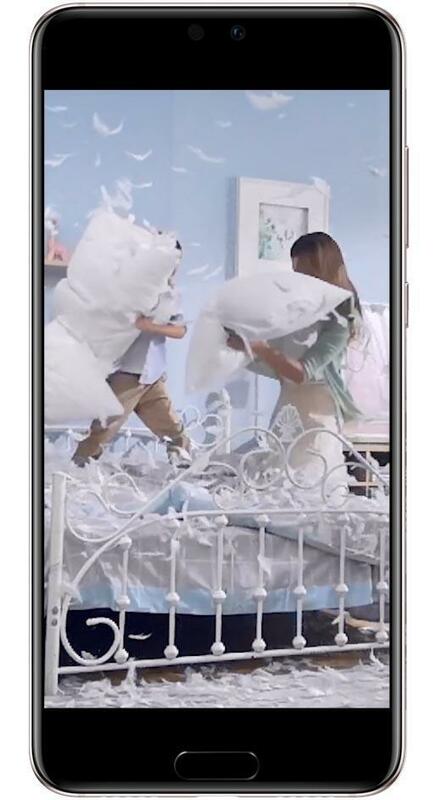 No wonder DxOMark ranks it above all! 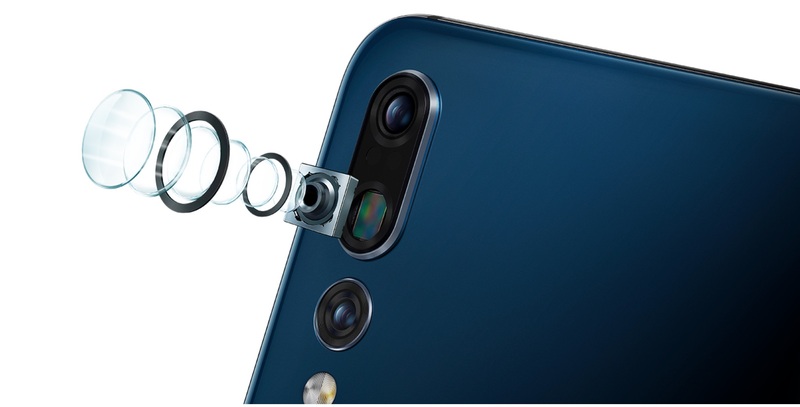 Already having toppled the best of smartphone cameras P20 Pro offers comprehensive flagship experience. While the camera out performs every other flagships in its class by a large margin, its parallel to none, be it under various environmental and lighting conditions, the highly powerful CPU with deep integrated Machine learning and AI reproduces some of the masterpieces in Photography. Also it features a brand new Leica VARIO-SUMMILUX lens with 3x & 5x Optical and Hybrid Zoom respectively suitable for long-range photography and to capture low light images photos with up to ISO 102400. With phenomenal image and scene processing speeds these cameras are amongst the fastest to detect and focus on a subject or object. 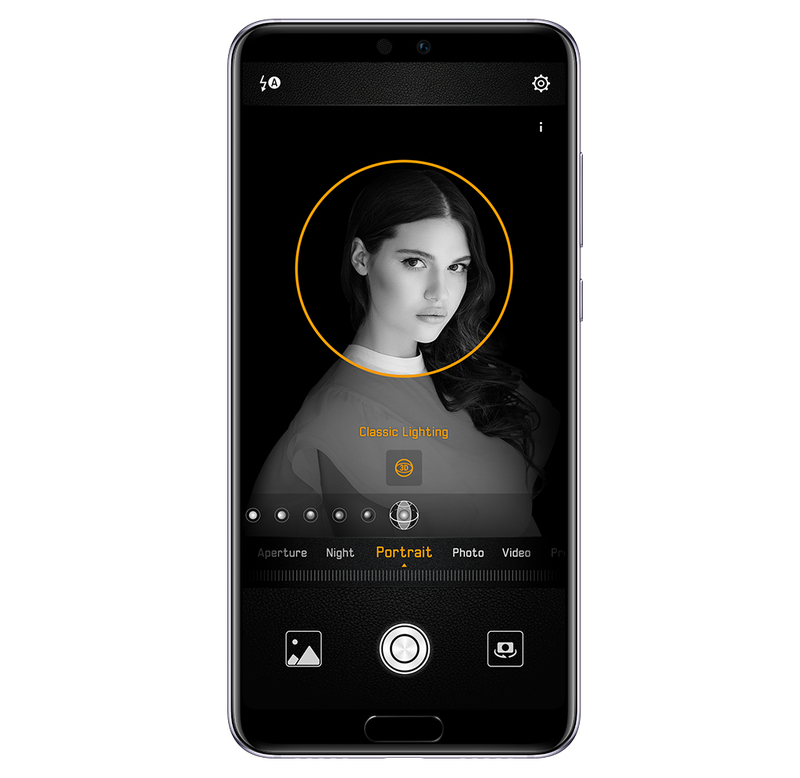 The combination of OIS, Phase Detection Auto Focus and Laser Auto Focus and AI allows to capture a clean and detailed snap even when your subject or you are on the move. 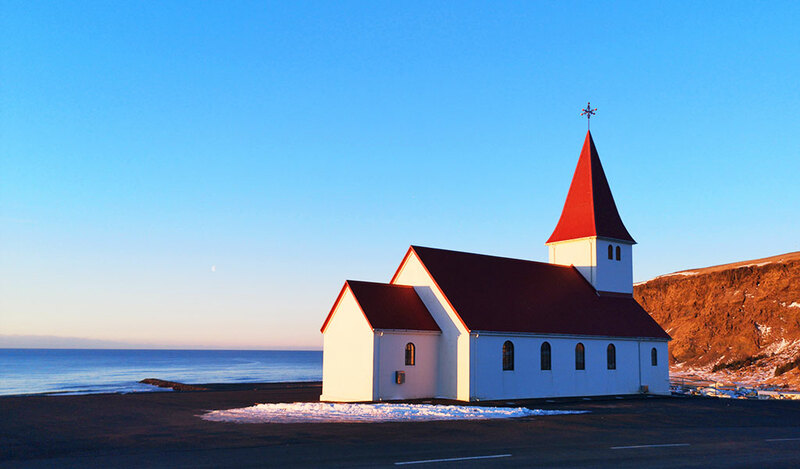 Integration with AI transforms and simplifies the way you snap pictures. Even when you zoom in on a subject under poorly lit conditions. Multiple shooting modes are available which when turned on instantly recognising the surrounding environmental and lighting conditions, depth and colour contrast, while digitally identifying and stabilising the subject for a perfect steady and clear shot. These complex background processing happens in terms on Nano seconds or blink of an eye. 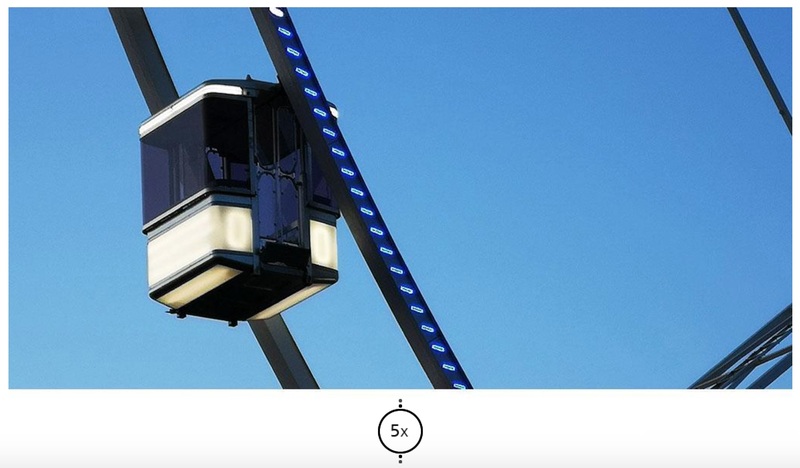 Capture some unforgettable moments in Super Slow motion mode in High Definition at 960 fps. Make the moments special by capturing the smallest of emotions, expressions, moments and details in slow motion. Snap perfect selfies with the 24MP front camera with Auto Focus and a large f/2.0 aperture lens. While the camera is quick and to focus the large lens and higher megapixel count keeps provides excellent details and outline for that mystical portrait shots. 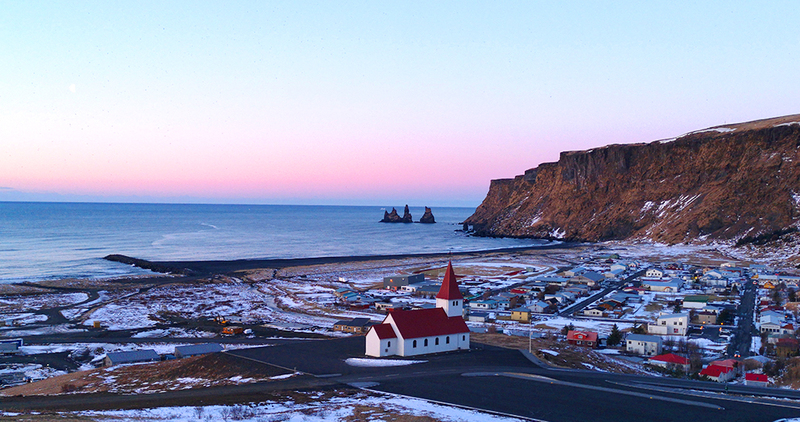 With AI as a foundation and deeper software integration the capabilities of the camera is almost limitless. With built in AI beautification and 3D portrait lighting the selfies are beautiful with healthy-looking skin tone adjustments, intricately outlined face details, and realistic 3D enhancement features. 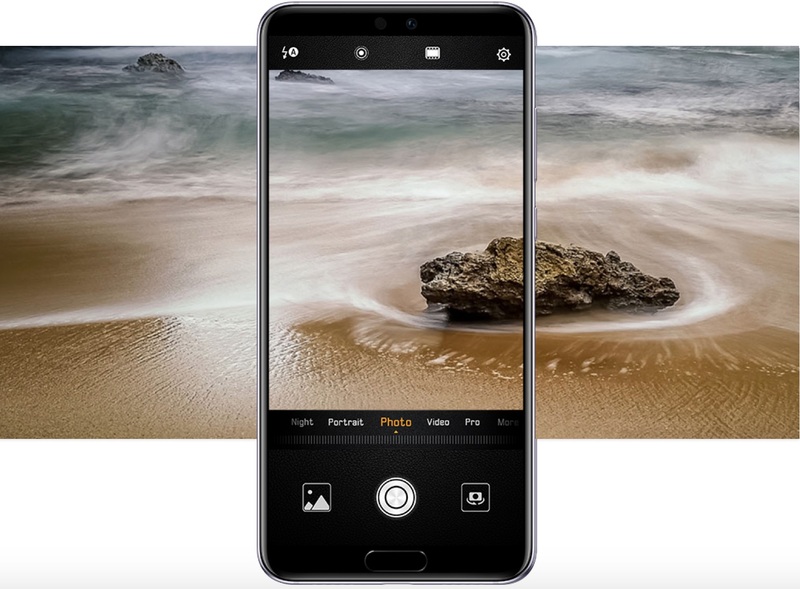 For its latest flagship Huawei has gone great lengths to bring us the best of Innovative photography features, including Master AI which includes AI-driven professional photography skills and HUAWEI AIS, a powerful AI stabilisation technology. Such is the capability that the camera can instantly recognise and differentiable between Nature, Environment, Lighting, Objects, Pets, food etc. and more and automatically configure and comprise the perfect shot. Thanks to integration of AI and camera hardware which simplifies the scene recognition automatically without having to fiddle with any settings. It automatically adjusts to the colour contrast lighting and recreates a perfect real to life picture quality. Simplifying a complex process is these cameras shines in, hosting a neat feature in the cameras such as AI- Assisted Composition, which provides intelligent suggestions to frame group shots and landscapes. Kirin 970 CPU with dedicated Neural Processing Unit (NPU) is the heart and soul of the Champion flagships from Huawei. The in-house processor is nothing short of maverick which not only enhances the photography experience but also offers phenomenal over performance. Now a phenomenal smartphone with extraordinary capabilities and features needs an equally powerful battery to keep going for couple of days! Fret not a large 4000mAh battery largest on smartphone in the category, with HUAWEI SuperCharge has you covered. The power management and endurance is efficient and excellent that to AI-powered Battery Management.